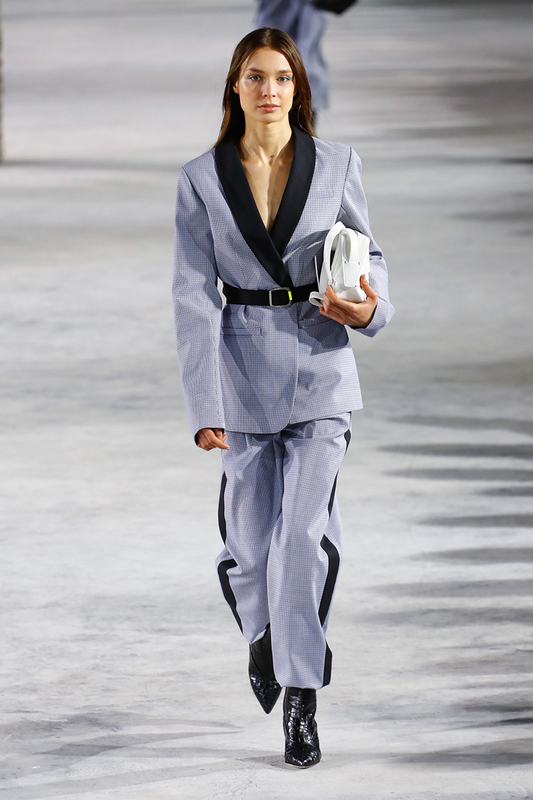 i know i’m wayyyy behind on this, but i still can’t get the tibi collection out of my head. especially since the weather right now is still cool. 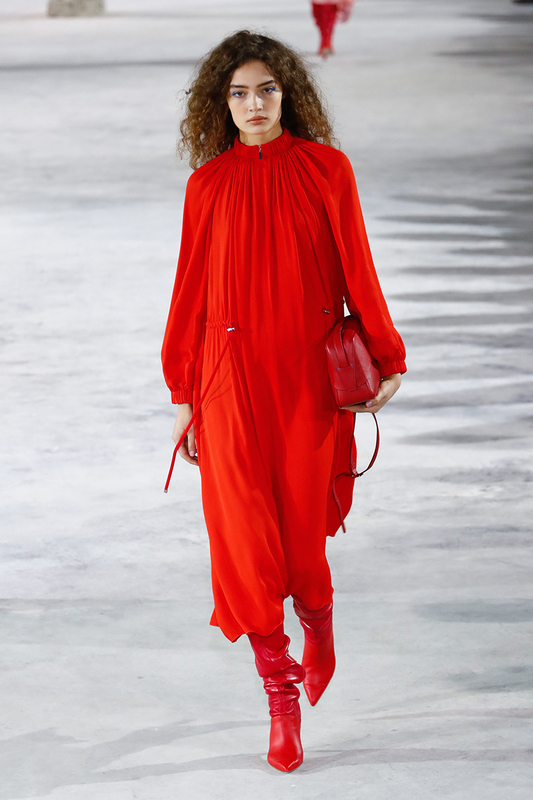 here’s a few styling cues from the show that you can incorporate right now. belt a blazer. you don’t need the ubiquitous gucci one either. just grab one from the gap, or from your partner’s closet and loop it. also 1a. wear a matching suit. dressing in one color is super impactful. see here and here. 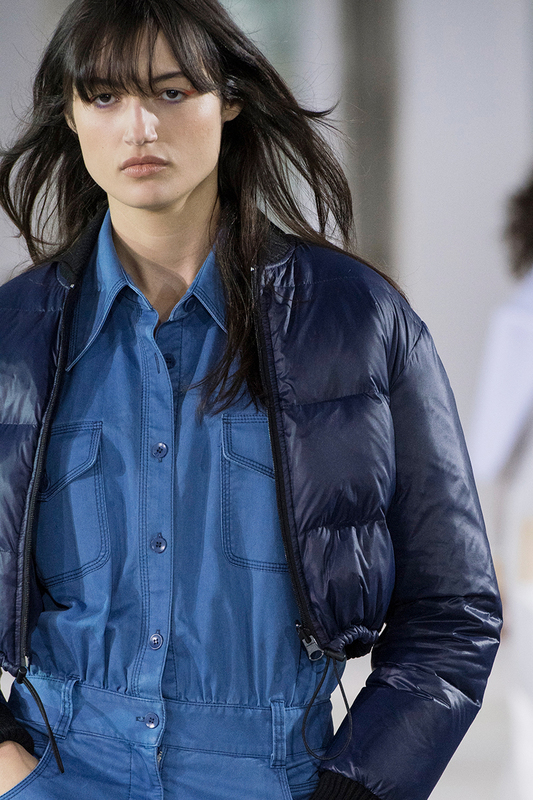 add sporty elements, like a puffer (see here) or track jacket. 3a. purple is the new red. 3b. keep wearing denim on denim. 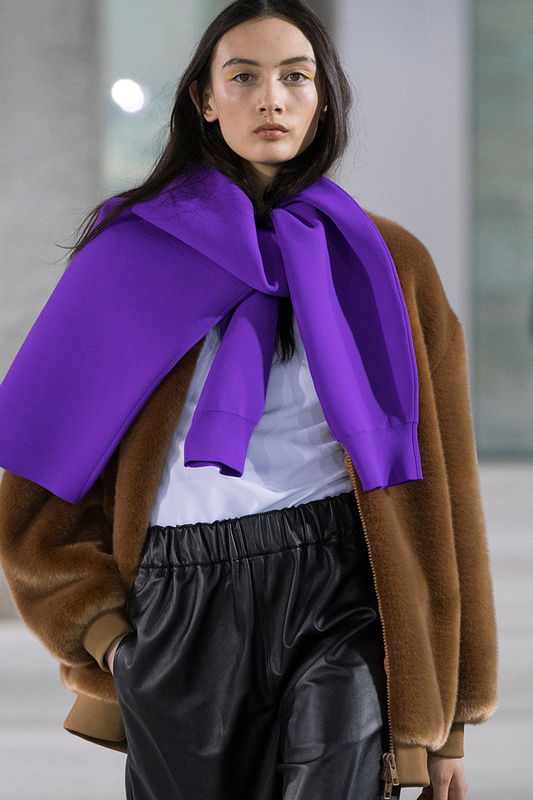 turn a sweater into a scarf. 4a. wear on top of your teddy coat. 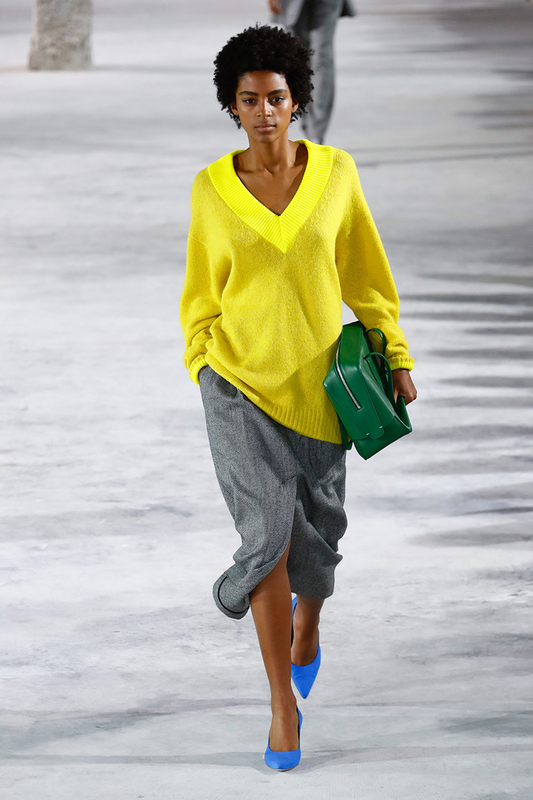 you can have more than one pop color in an outfit. 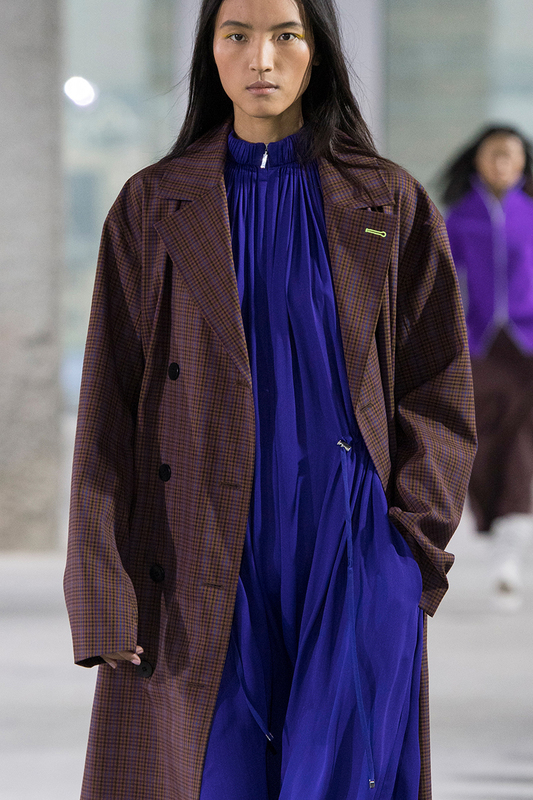 plaid outerwear is here to stay. get an oversized one (look at vintage stores or places like topshop and mango). 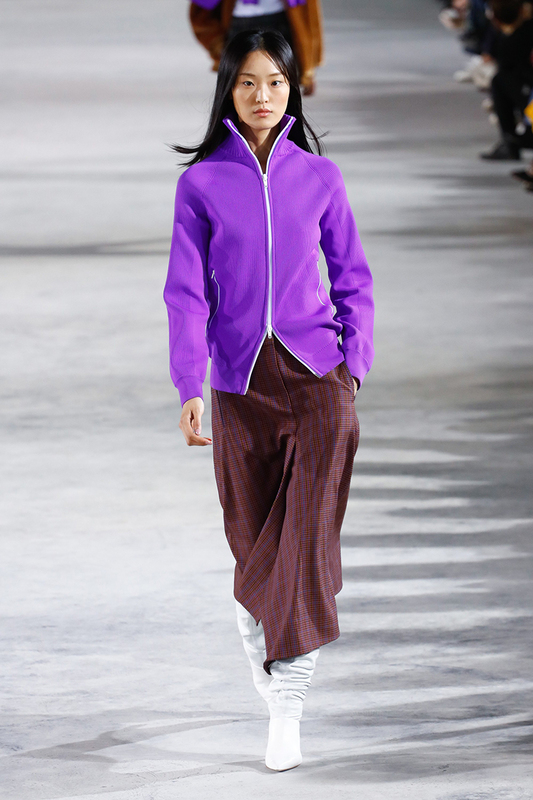 was there anything that stood out to you from the tibi show? anything you’re going to try right now? Previous Post the friday five. Next Post the friday five.